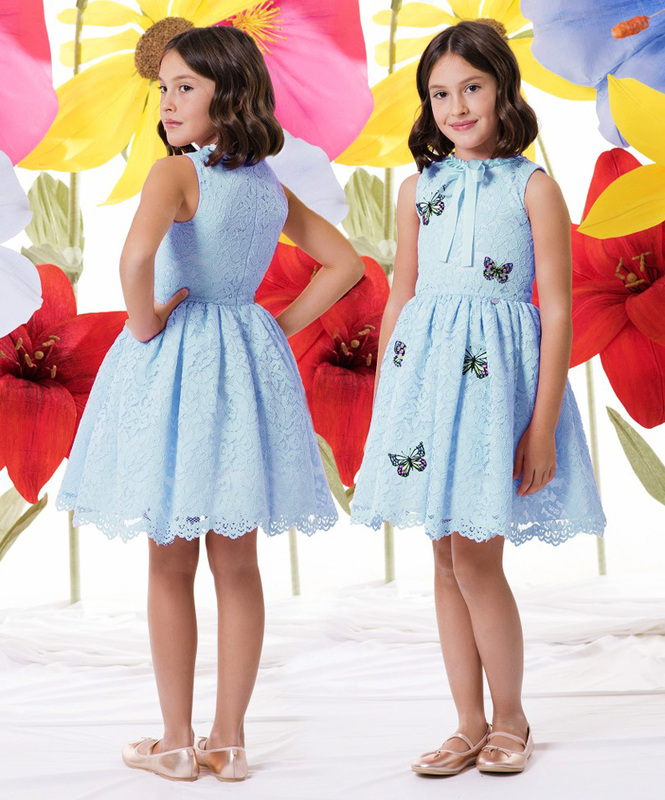 Usher in the new season with Love made Love garden & butterflies print on wear-anywhere dresses! 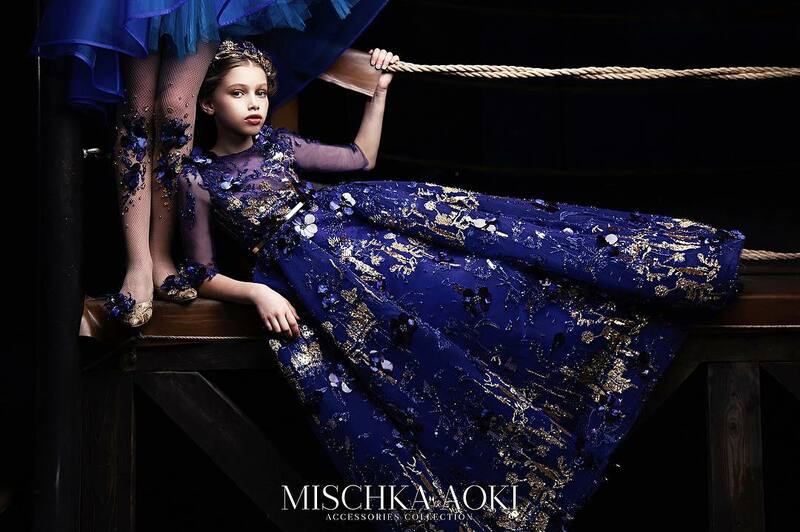 Girls yellow, long-sleeved dress by Love Made Love, with beautiful floral embroidery appliqué and touches of sparkle. Made in sheer, light-weight chiffon over a layer of silky-feel fabric with a smooth cotton lining. The waist is gathered all round, creating a very full skirt, and there is a concealed zip fastener at the back. 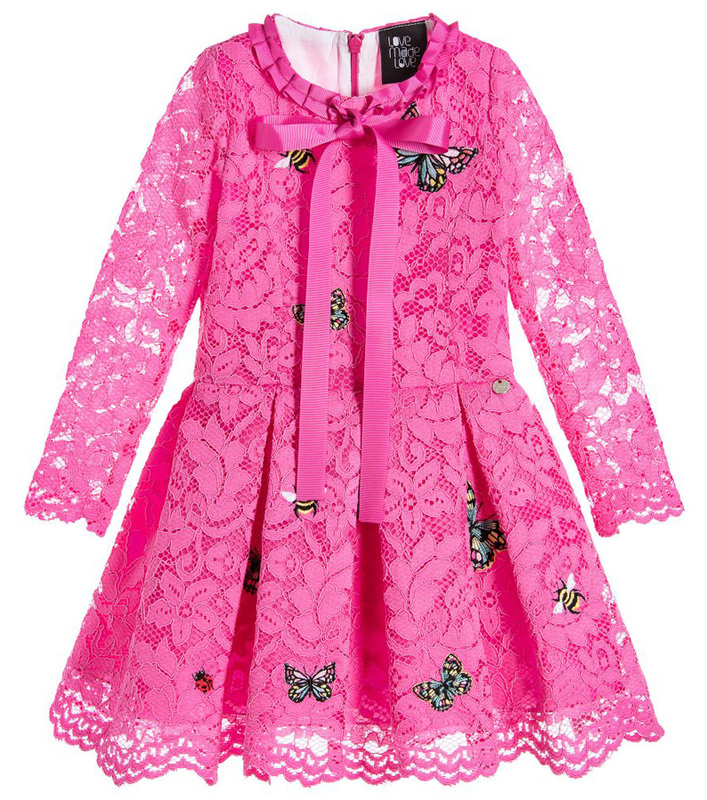 Girls bright pink lace dress from Love Made Love. This pretty design has embroidered butterflies and bees on the lace overlay and a ribbon bow decoration at the neckline. The skirt is pleated and there is a concealed back zip fastening, with a satin underskirt and white cotton lining. 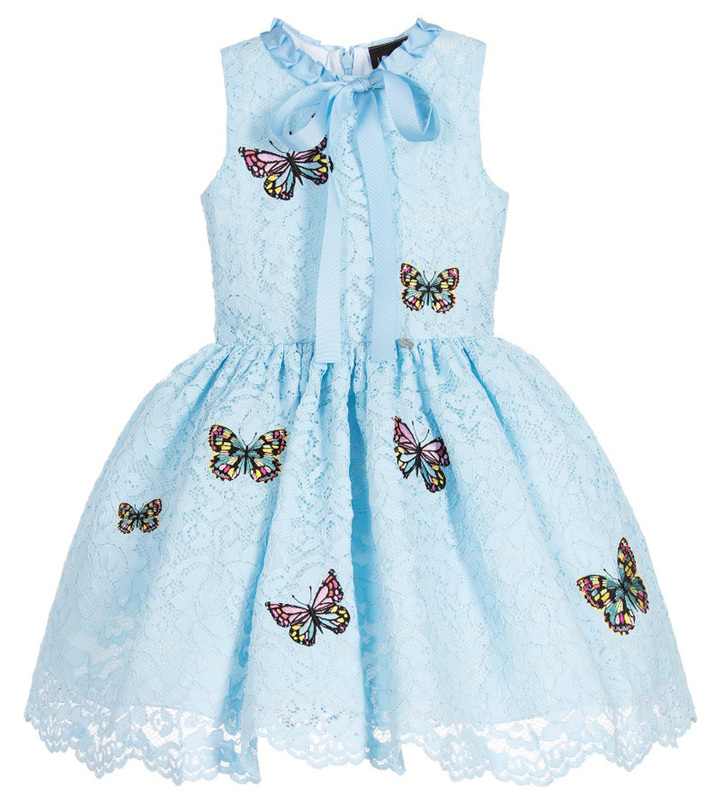 Girls lovely, pale blue lace dress by Love Made Love, featuring beautifully embroidered butterflies in pink, green and yellow. 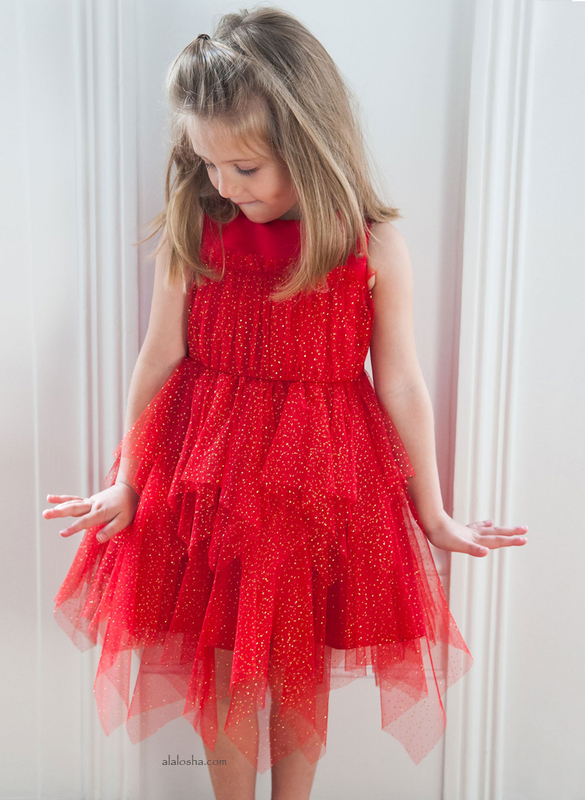 The neckline is trimmed in ruffled grosgrain ribbon that ties in a large bow at the front. The gathered skirt has the designer's silver logo charm sewn at the waist, and has tulle layers on the cotton lining for extra fullness. it has a concealed zip fastener at the back. 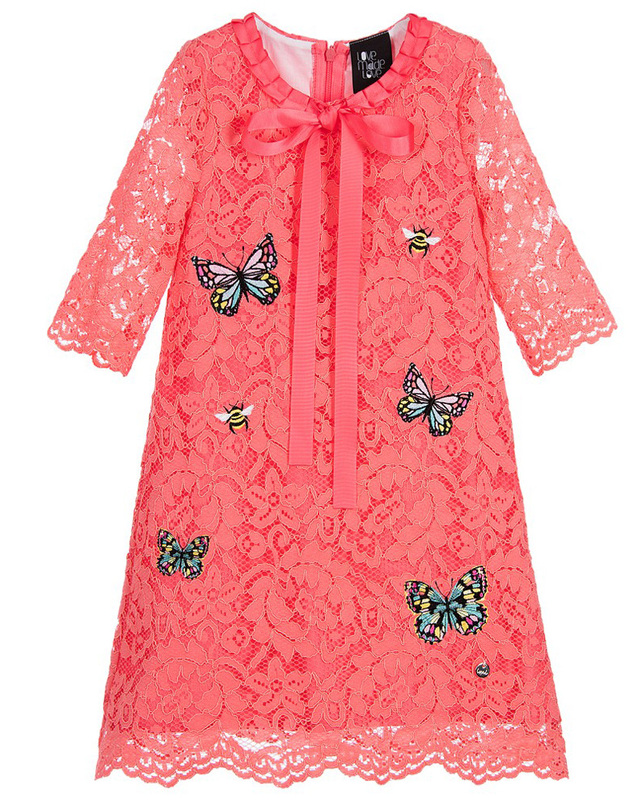 Girl coral pink, short-sleeved dress by Love Made Love, with colourful butterfly and bee embroidery appliqué. Made from soft floral lace over a layer of silky fabric, with a smooth cotton lining. Fastening with a concealed zip at the back, it has a pretty grosgrain ribbon ruffle around the neck, tying into a beautiful bow at the front.